Skipton AC is a friendly, sociable running club for all abilities. Whether you compete in international, national or local events or simply want to improve your fitness, this is the club for you. We meet in the foyer of Craven Leisure Centre on Tuesdays and Thursdays at 7pm where members can either choose interval training (Tuesdays only) or a local running route depending on your pace and preferred distance. During the lighter evenings we usually run off-road or during the darker nights we take road routes. Please see the SENIORS page for further information. 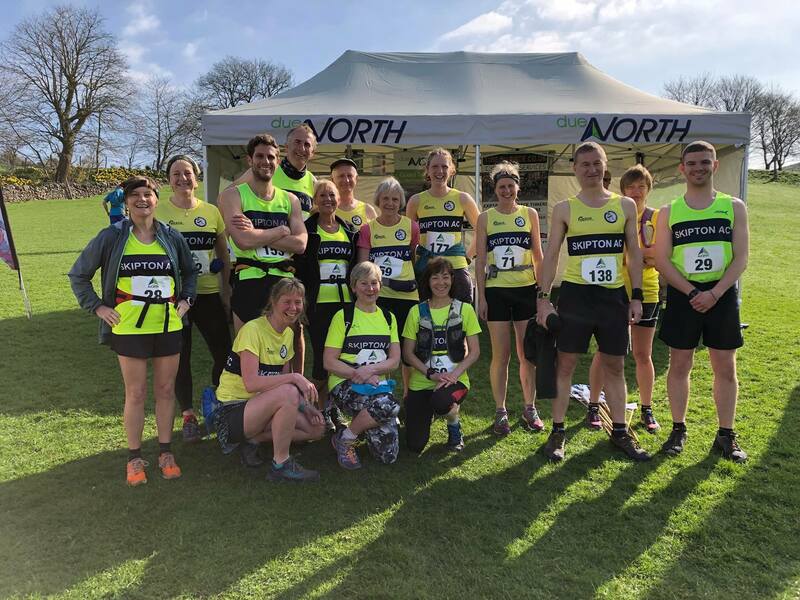 Many Skipton AC members represent the club at local racing events as well as parkruns; we run a Club Championship and also a Handicap League where all members are encouraged to participate, whatever their ability. On Tuesdays we also have junior training sessions with qualified coaches (all DBS checked) for children aged 8-17. Please see the JUNIORS page for more information. Members are also welcome to join in the ‘Wednesday Night Pub Run’; a weekly, off-road social run and have the opportunity to join ‘Skipton AC Members’ Forum’ on Facebook; a page to share experiences, learn about upcoming races and social events as well as general, good-humoured banter. You are very welcome to come along and try out our training sessions, meet some of us and see if Skipton AC is for you. Download a club membership application and view our privacy statements here.